The perfect product for you to build a healthier posture, improve your feeling and relieve pain. Comes with two detachable underarm pads to maximize comfortability. Fit perfectly on the body. 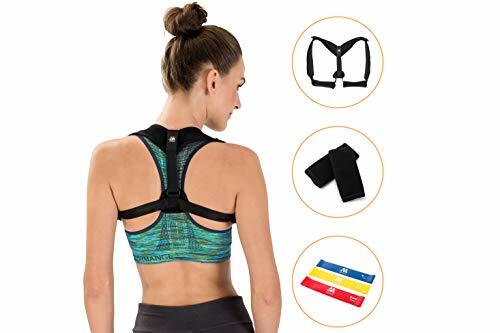 Our Posture Corrector is unisex and fit chest sizes ranging from 25'' to 50''. Made of lightweight, durable and high quality material. Includes a gift - Set Resistance Loop Exercise Bands with a different levels of resistance in a comfort carry bag. Lifetime warranty – Love our product or we will buy the back from you no questions asked. Get our Posture Corrector and start having a better and healthier back and shoulders posture. Click 'add to cart' and order yours today! If you have any questions about this product by Minlox, contact us by completing and submitting the form below. If you are looking for a specif part number, please include it with your message.